Sterling Silver S Head earrings set with Blue Zircon. 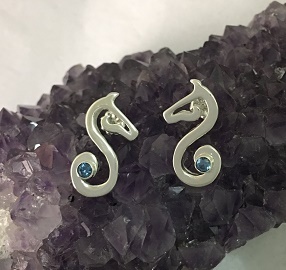 Lovely earrings in the shape of an S for any horse lover or horse lover with the an S in their name. < br> PICTURED AND PRICED HERE IN STERLING SILVER WITH BLUE ZIRCON!